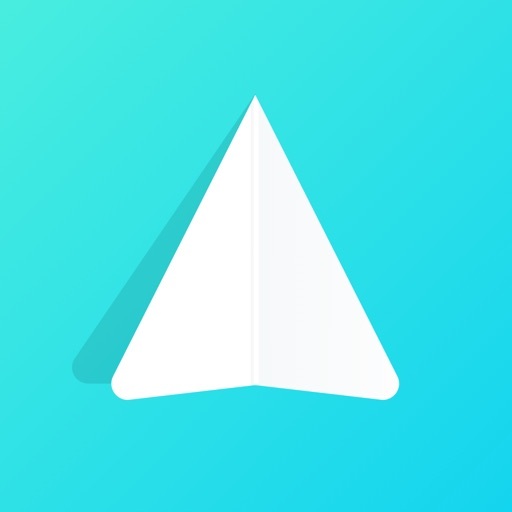 Download Invoice By Alto - Invoicing free via AppsHawk. 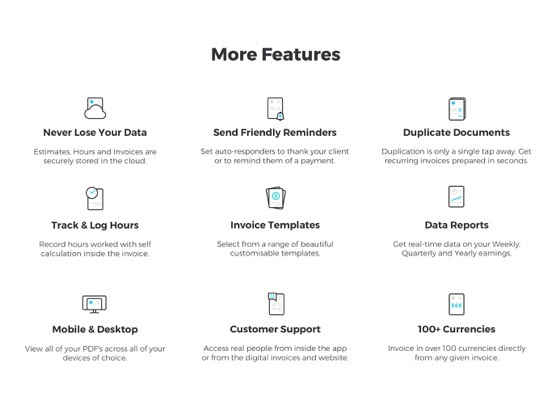 Get back to business with Invoice by Alto â€“ a desktop-class invoicing tool on your mobile! 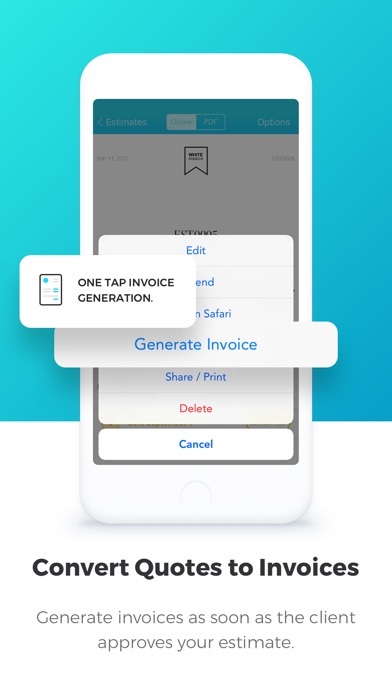 Create and send professional looking invoices in under 1 minute with our ready to go templates that look great on desktop and mobile devices. 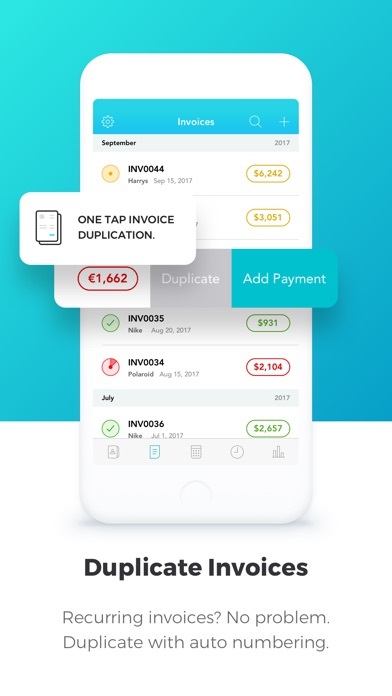 Invoice by Alto is built from the ground-up for freelancers, self-employed workers, small to medium-sized businesses and startup companies! 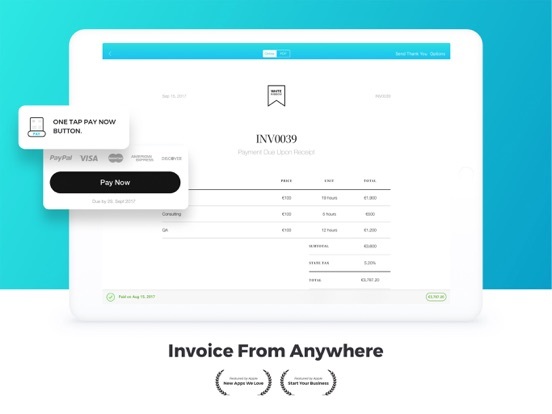 Accept credit or debit cards and take payments anywhere with this on-the-go invoicing solution. 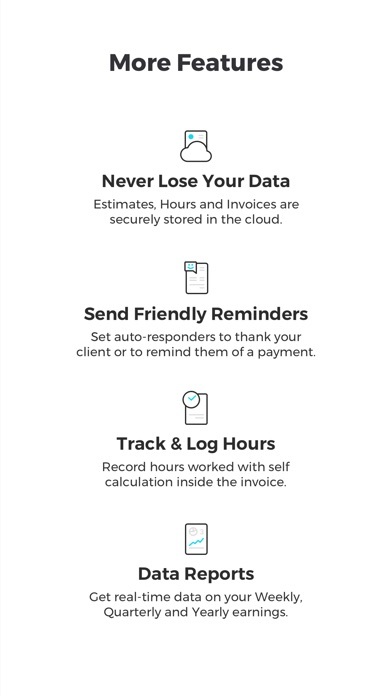 Our automated invoicing service is simple to use and perfect for anyone who wants an easier way of billing clients, tracking time on the job and keeping track of expenses. Never get paid late again! With invoice monitoring you can track what has been sent, paid and is still overdue. We all hate the O-word, so weâ€™ve set up payment notifications to make sure you get paid on time, every time! We help over 15,000 users get paid efficiently with a 4.9 AVERAGE RATING. INVOICE. Email clients invoice & estimate documents they can quickly review from their desktop or mobile device. PAYMENT. 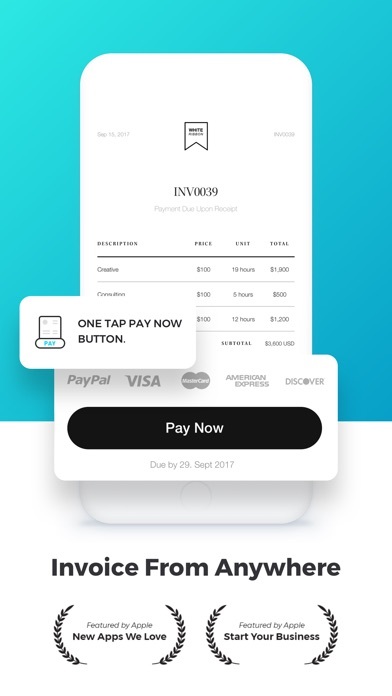 Stripe, Square Cash & Paypal lets you accept credit cards, debit cards & paypal payment right on the invoice page sent to the client. Notes lets you give clients special instructions and give wire instructions. TEMPLATES. 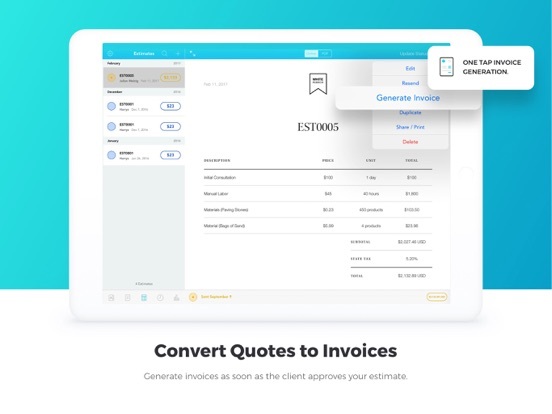 5 beautiful templates [Brandon, Kepler, Tisa, Calluna, Nova] lets you present invoices and estimates that best represent your company. ATTACHMENTS. 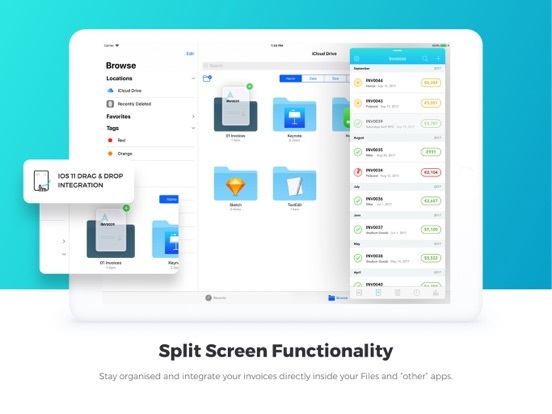 Dropbox, Github, and Photos integration let you reference files, receipts, images, code commits, github issues right in your invoice & estimates. BILL HOURLY. 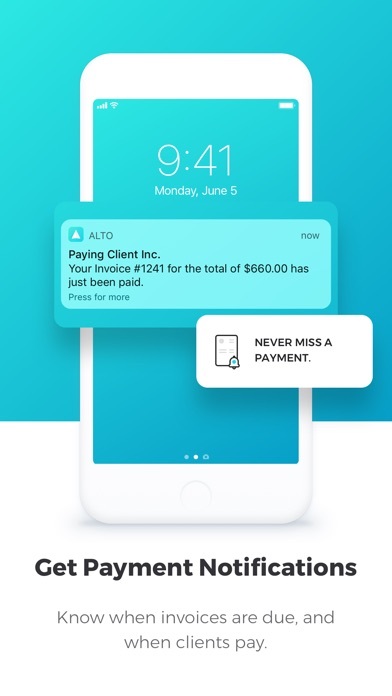 For companies and individuals that bill hourly, Alto's dedicated Time app lets you track and record time for all your clients. At the end of a billing cycle, you can directly import your hours into invoices. CRM. AddressBook integration lets bring your contact information for each client fast. No need to spend hours typing out redundant information. DOCUMENT SETTINGS. Setup your company's defaults for currency, due dates, notes and more so you can spend less time worrying about get paid and more time on what you do best. NOTIFICATIONS. 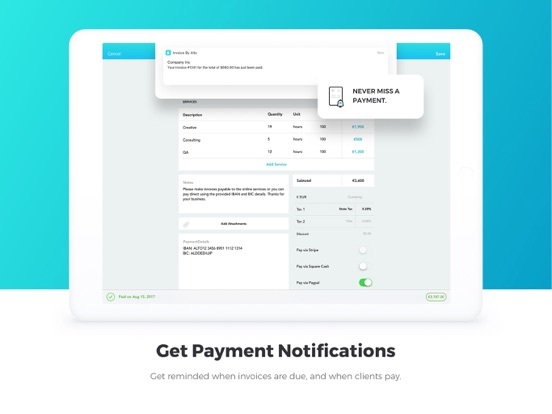 Receive notifications when you've been paid. Get reminded to invoice clients when you have hours to bill. VISUALIZE. Awesome visual charts lets you see how your visualize the growth of your business. TEAMS. Share responsibilities with your team members to allow them to track hours, send estimates, and bill clients. SUPPORT. Zendesk support is integrated directly inside Alto and on the invoices you send to your clients. Subscribers enjoy unlimited invoicing for individuals and teams. Enterprise Yearly Package: $19.99 (USA), $27.99 (CANADA), Â£14.99 (UK), â‚¬19.99 (EU) Subscription. Enterprise Monthly Package: $1.99 (USA), $2.99 (CANADA), Â£1.99 (UK), â‚¬1.99 (EU) Subscription. Price may vary by location. Subscriptions will be charged to your iTunes account. Your subscription will automatically renew unless canceled at least 24 hours before the end of the current period.